Learning the alphabet can be very engaging for little learners. 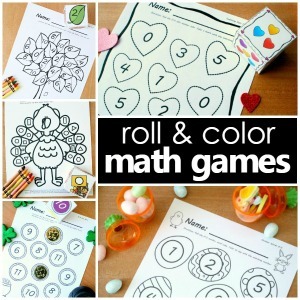 Throughout the year I like to weave alphabet activities into our preschool themes. We often use alphabet mats for letter building and sensory alphabet activities. 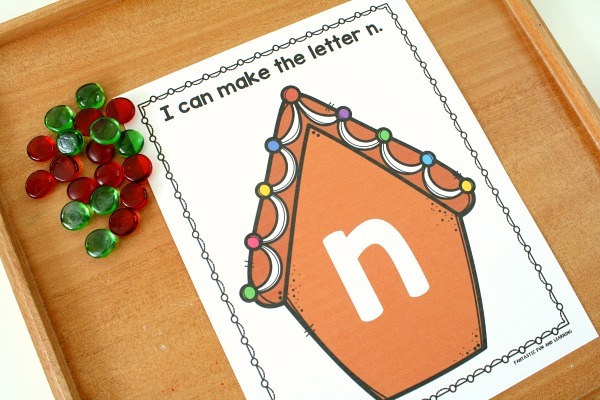 During our gingerbread theme we used these Gingerbread ABCs Preschool Alphabet Printables. Here I’m outlining some of the ways we use them. 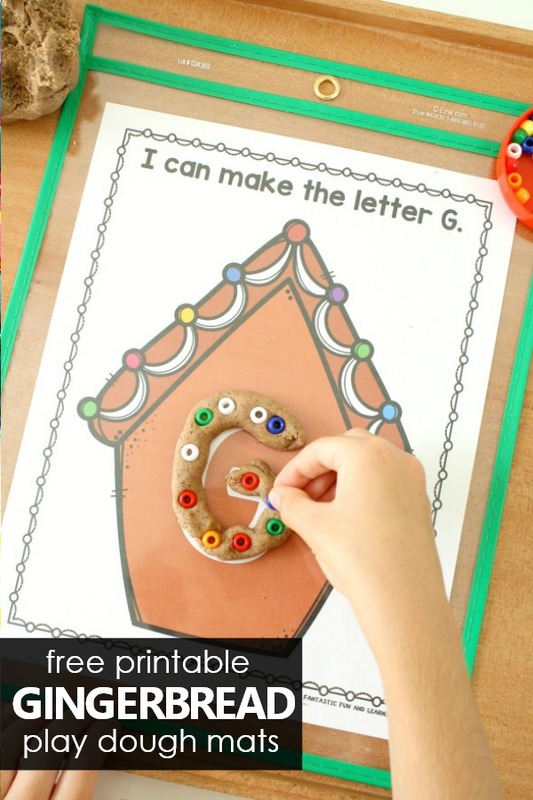 You can get your own free printable 106-page set of gingerbread alphabet mats at the end of the post. 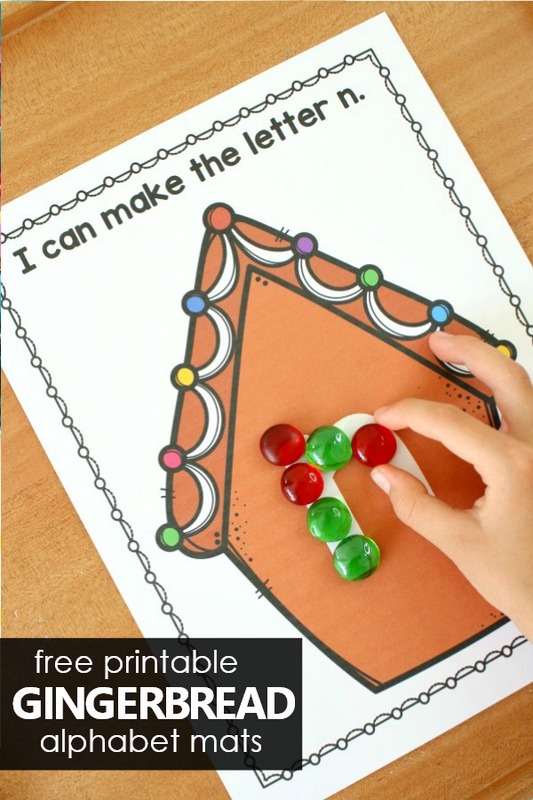 FIND EVEN MORE GINGERBREAD THEME ACTIVITIES IN OUR PRINTABLE PRESCHOOL LESSON PLANS. 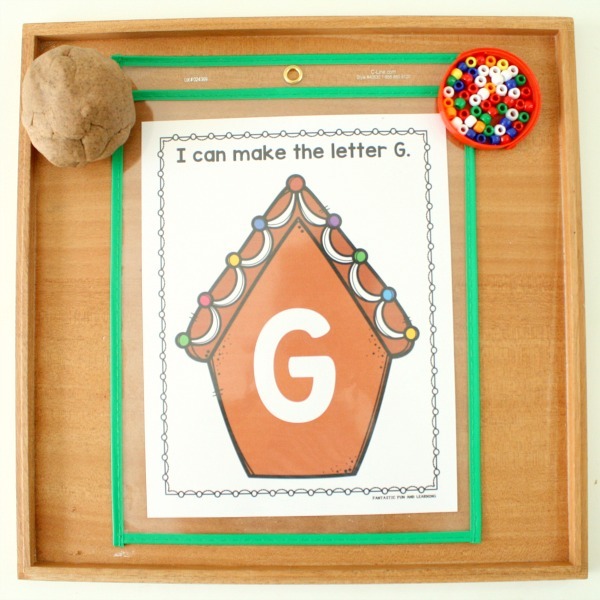 The free printable gingerbread alphabet mats are designed one to a page. 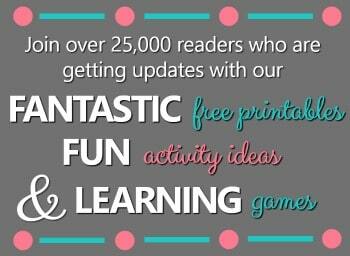 This gives you a lot of flexibility for printing. Some activities require a full page per letter, while others work best with a smaller 1/2 page or 1/4 page format. Simply change your printer options to print 1 per page, 2 per page or 4 per page to get the desired layout for your activities. All mats are also available in black and white for your convenience. 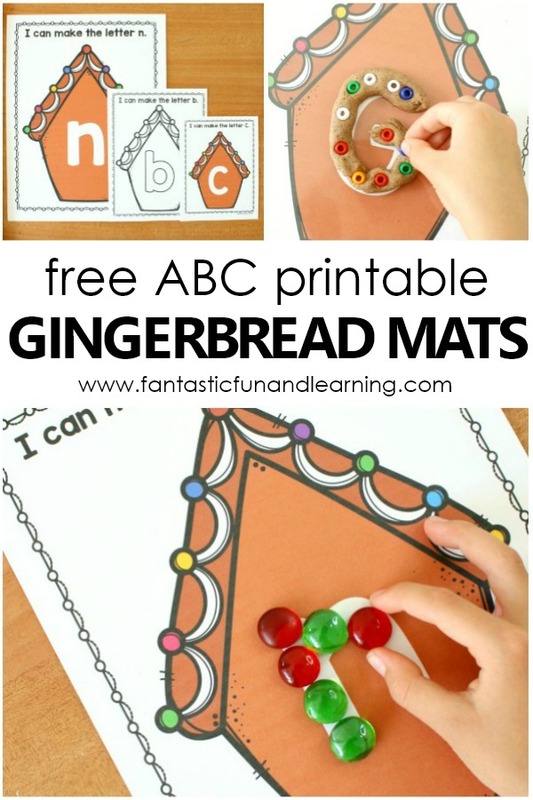 Watch this quick video clip to see some of the ways we use these Gingerbread ABC mats. There are tons of possibilities! 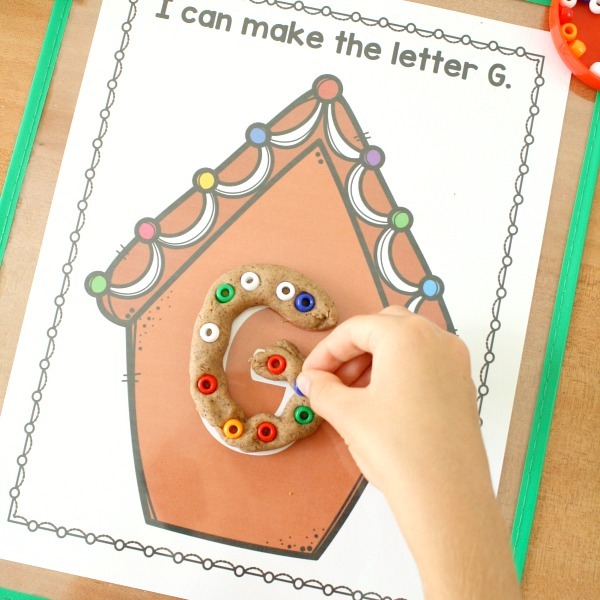 Grab your favorite loose parts and the gingerbread letter mats for an easy, no mess alphabet center activity or morning work option. Here we are using red and green glass gems. Mini pom poms, mini candy erasers, and buttons would also work well for this option. 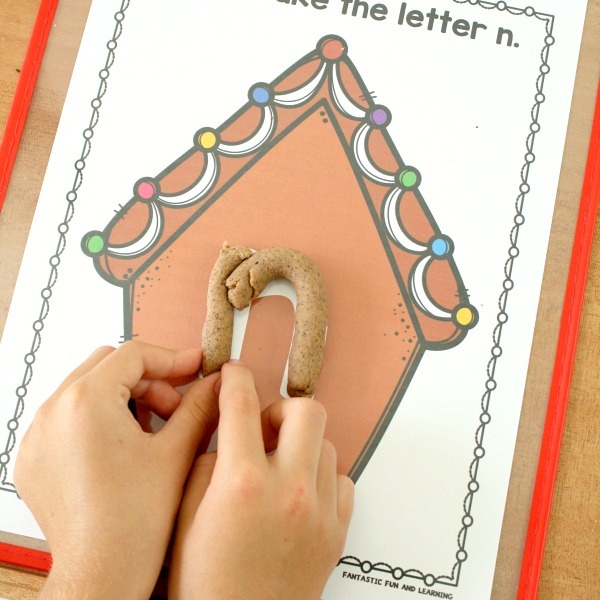 If your kids love play dough activities, then combine these letter mats with scented gingerbread play dough. 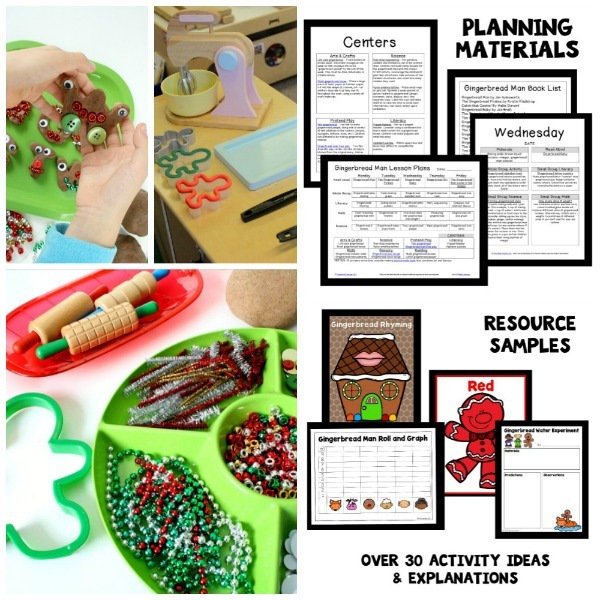 It adds an amazing sensory element, and allows for a lot more fine motor practice along the way. 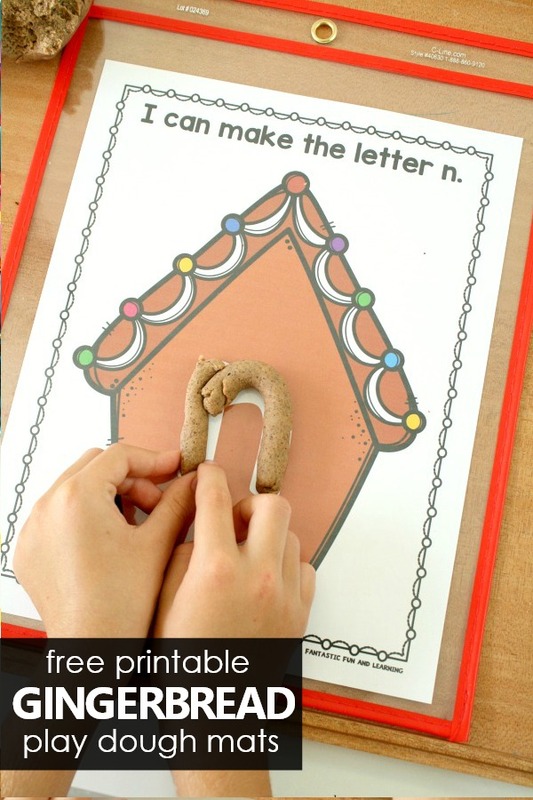 You can keep it simple and have kids roll out play dough snakes to form letters. And you can extend the play a bit by adding in some additional loose parts. 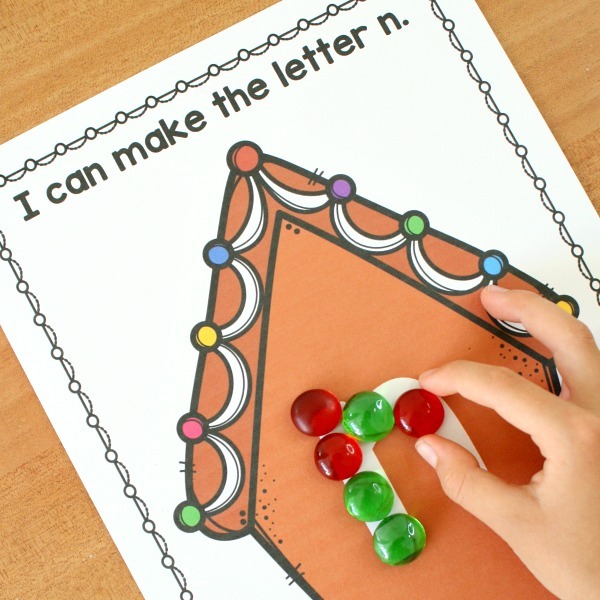 Here we are using multi-colored pony beads for kids to press into the dough as they decorate their gingerbread letters. 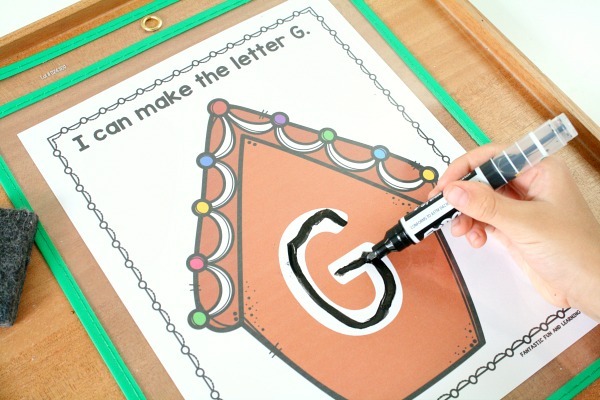 Once kids are showing an interest in writing letters add dry erase markers to this set and let them practice letter formation. 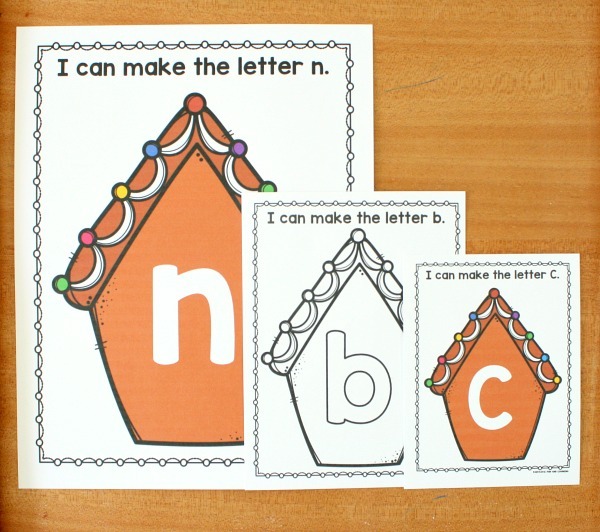 You can bind the full alphabet set into a flip book to make it easier for them to practice multiple letters.